As the poultry industry pushes for faster line speeds, advocates take stock of improvements and challenges. After Patricia Zalasar* moved to the United States from Guatemala to escape a violent relationship, she secured a job at a Case Farms poultry processing plant. Zalasar’s experience is similar to that of many poultry workers in the U.S., who have been found to suffer high rates of carpal-tunnel syndrome and severe injuries including amputation as a result of the quick and forceful motions they carry out over and over each day on the line. Unfortunately for Zalasar and others, conditions could get even worse if a recent industry proposal to allow increased line speeds moves forward. Three years ago, the U.S. Department of Agriculture (USDA) capped the maximum speed at which the chickens can move through the processing plants at 140 birds per minute (bpm), reasoning that speeds any faster would exacerbate injuries in workers, as well as abuse in animals and contamination in meat. 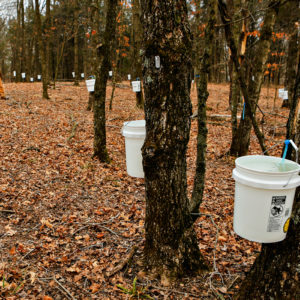 Pushing production speeds to the max greatly impairs worker safety and wellbeing, said Hunter Ogletree, a protest organizer with the Western North Carolina Workers’ Center (WNCWC), which is working with employees at Case Farms’ Morganton, North Carolina facility. “The line speed is the root cause of a lot of the worker issues the industry faces in general,” he said, listing as examples the cuts, lacerations, and repetitive-motion strain injuries workers suffer, and also noting that the push for fast production is the reason workers are often not allowed to leave the line to go to the bathroom when they need to. “Everything goes back to how many birds they can get through the line [in how short a time],” he said. 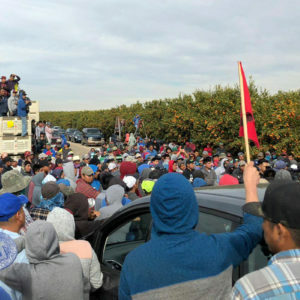 Over the last few years, reports from the Southern Poverty Law Center (SPLC), Oxfam America, and others have turned increased attention to the poor conditions facing the workers in the plants that process the chicken Americans purchase from grocery stores, fast food chains, restaurants, and cafeterias. Together, the reports charge the four poultry companies that dominate 60 percent of the U.S. market—Tyson Foods, Sanderson Farms, Perdue Farms, and Pilgrim’s Pride—with the mistreatment of their workers, most of whom are members of especially vulnerable minority, immigrant, and refugee groups. It’s worth nothing that poor working conditions are not limited to the biggest poultry companies. Zalasar’s employer, Case Farms, which supplies KFC, Taco Bell, Popeye’s, and Boar’s Head, among others, has also repeatedly been called out for its poor treatment of workers—most recently by ProPublica and The New Yorker. 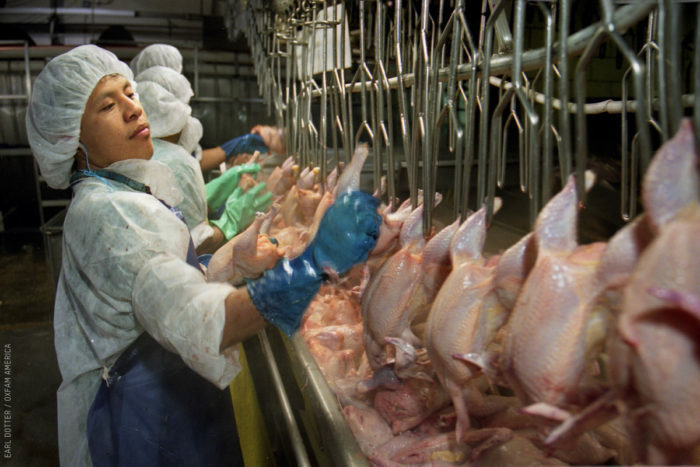 The public eye on poultry worker issues has led to some positive changes in working conditions—including a recent pledge by Tyson to create a healthier workplace. But many worry the Trump administration’s anti-immigration and deregulation stances will reverse the forward momentum. Can an Industry Leader Turn the Tide? In the wake of increased poultry plant inspections by the Occupational Safety and Health Administration (OSHA) in 2015 and 2016—which uncovered more than 15 serious safety violations at a Tyson plant in East Texas and resulted in more than $263,000 in fines—Tyson Foods’ new CEO Tom Hayes announced in April the company’s commitment to expanding protections for workers. Despite potential backsliding on workers’ rights in a new political climate, some worker advocates are optimistic Tyson’s pledge represents the beginning of better treatment across the industry. Under the new commitments, which the company released in conjunction with Oxfam and United Food and Commercial Workers (UFCW), Tyson plans to reduce the number of worker injuries by 15 percent each year until it reaches zero and increase employee retention by 10 percent each year until it eliminates turnover. It also plans to hire 25 or more poultry plant trainers, continue convening plant safety councils, and publicly share third-party social compliance audits of its plants. Minor Sinclair, director of Oxfam’s U.S. Domestic Program, sees Tyson’s commitment as substantial progress. “What Tyson did was a real step forward in terms of their corporate culture change, putting some marks in the ground in terms of where they want to go,” Sinclair said. Not everyone feels that way, however. Debbie Berkowitz, a senior fellow with the National Employment Law Project (NELP), a nonprofit working for low-wage workers—and chief of staff for OSHA between 2009 and 2013—does not trust Tyson’s promises. “They said the same things for years when I was at OSHA,” Berkowitz said. Tony Corbo, a senior lobbyist for Food and Water Watch, still worries for workers, given Tyson’s history and continued complaints he’s hearing, but he’s glad the company has publicly committed to improving. “I am impressed by the fact that they have made a recognition of these issues, but whether they’re going to actually implement these changes still remains to be seen,” Corbo said. Though some hold out hope that Tyson’s commitments will begin to turn the tide, the poultry industry is already attempting to take advantage of the federal push for deregulation. In petitioning the USDA to increase chicken processing line speeds, Chicken Council President Michael Brown pointed out that Trump has initiated regulatory reform measures elsewhere “intended to decrease regulatory burden on industry.” He argued that faster line speeds do not endanger animal or human well-being and said that U.S. poultry companies’ international competitors safely operate at line speeds of more than 200 bpm. Berkowitz and other animal, worker, and consumer advocates disagree. The USDA spent two years studying the effect of line speeds on worker and consumer health before capping the line speeds at 140, and no additional evidence exists to compel them to revisit the decision, Berkowitz said. In addition to the industry campaign to increase line speeds, other signs remain that the industry is not improving its treatment of workers. Though Tyson has cited its intention to improve worker welfare, the three other major poultry players have not yet followed suit. Nor have the smaller ones. In fact, Case Farms poultry workers list top among their grievances their inability to use the bathroom outside established times, leading some to wear adult diapers to work. In August, Case workers and their allies held a demonstration outside its Morganton, North Carolina plant during which they delivered a letter to Case management requesting a closed-door meeting to discuss the need for a reasonable bathroom break policy, but Case management declined. 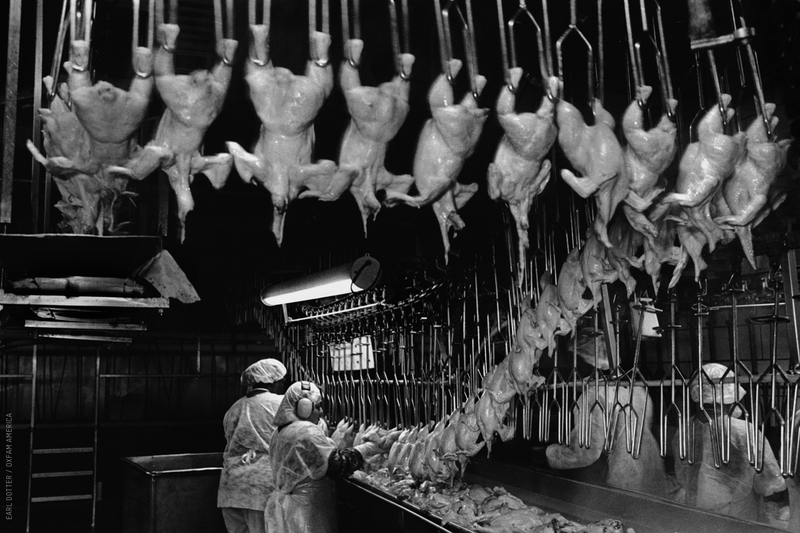 Despite the overall gloomy prospects for poultry workers, some advocates find reason for hope. 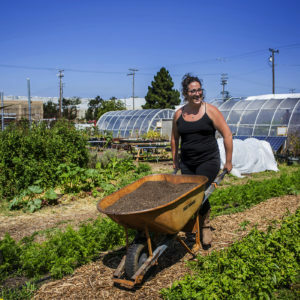 Over the last few years, diverse groups fighting for poultry worker safety—big players like Oxfam and SPLC but also various unions and worker centers, as well as advocates for intersectional causes like animal welfare and food safety—have come together to work for change, Graunke said. Workers have also become more willing to speak up about the abuses they’re facing. Because poultry companies try to leverage workers’ immigration status to create “a compliant workforce that’s fearful of speaking out,” Ogletree said, finding poultry plant employees willing to join workers’ rights campaigns can be difficult. But as increased publicity for poultry-company misdeeds have moved workers from “a naive consciousness of the issues they’re facing on a day-to-day basis to a more critical consciousness,” Ogletree explained, the number of workers associated with the WNCWC has increased from five to more than 30. “When we’re able to build that critical consciousness is when they’re willing to take action,” he said. Most advocates see potential in the effort to engage consumers around the issue of poultry workers’ rights. A few years ago, when consumers demanded the humane treatment of animals, companies listened—and began offering “organic,” “antibiotic-free,” and “grassfed” or “free-range” meat. 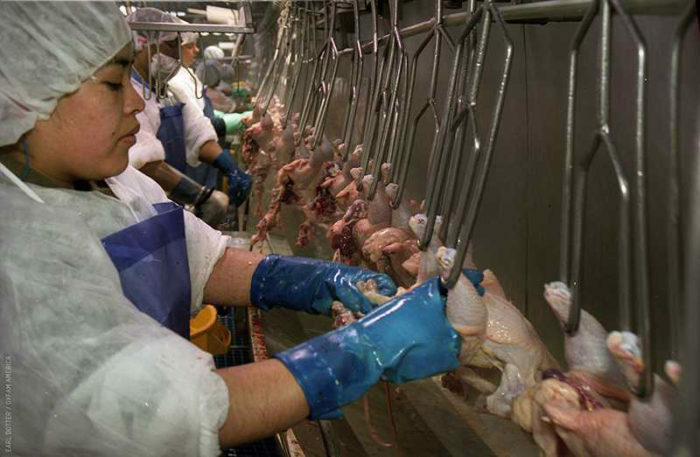 The American people have not spoken out for workers in the same way they have for animals, Berkowitz said. But if they did, it would make a big difference: “Consumers can have an enormous impact in telling the industry to lift its labor standards,” she said. Zalasar, too, wants consumers to think about the individuals behind the chicken on their plates. “Consumers don’t consider the sacrifices people make to get the chicken to them,” she said. “Sometimes people just throw chicken out.” Before you toss uneaten chicken in the trashcan, she said, think about the people who endured pain and discomfort to get it to you. * Zalasar’s name has been changed and her location omitted. Photos courtesy of Oxfam America. The abuse of workers on the chicken lines at these companies like Tyson, Purdue & Pilgrims Pride should be more exposed to the common person because then we would stop buying their products. Increasing the line speed is dangerous & cruel for the workers & the chickens.